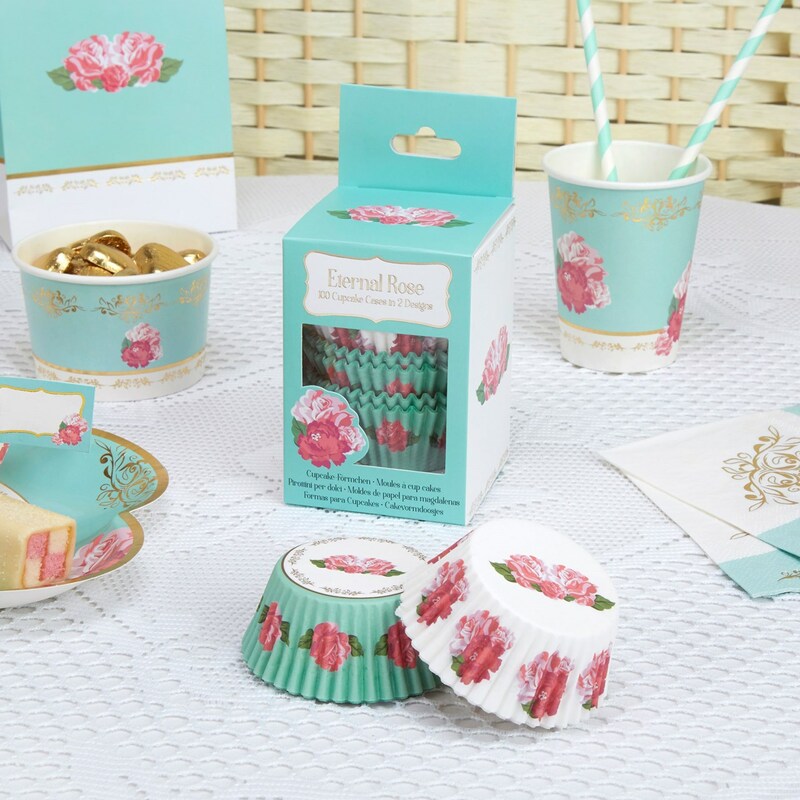 Enhance your home bakes with these divine cupcake cases from the Eternal Rose range. Including a mix of two designs, the cases are circled with pink roses against a white and turquoise background. Add an extra flourish with the cake picks in the range – an effortless way to give your cake selection a professional touch. Each pack contains 100 Cupcake Cases, 2 designs.